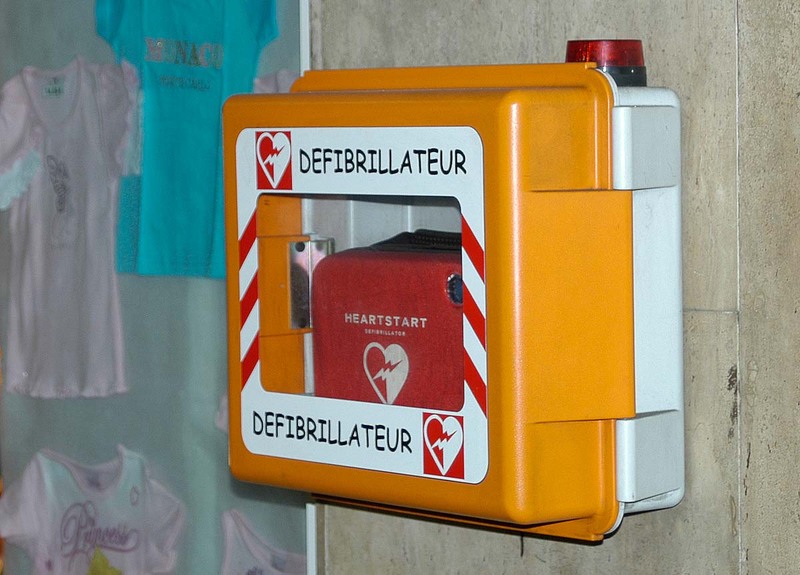 Defibrillator (AED) with T-shirts in Monaco (2009). 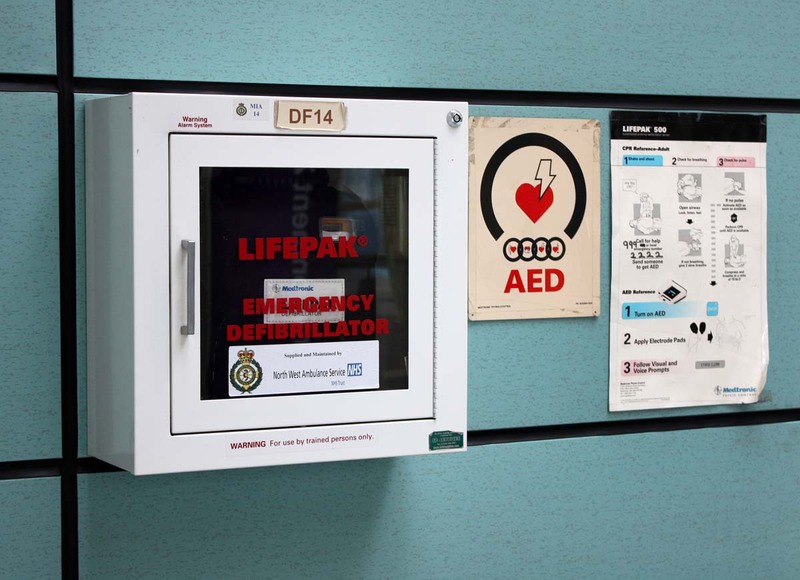 Defibrillator (AED) in Manchester airport MAN (2010). 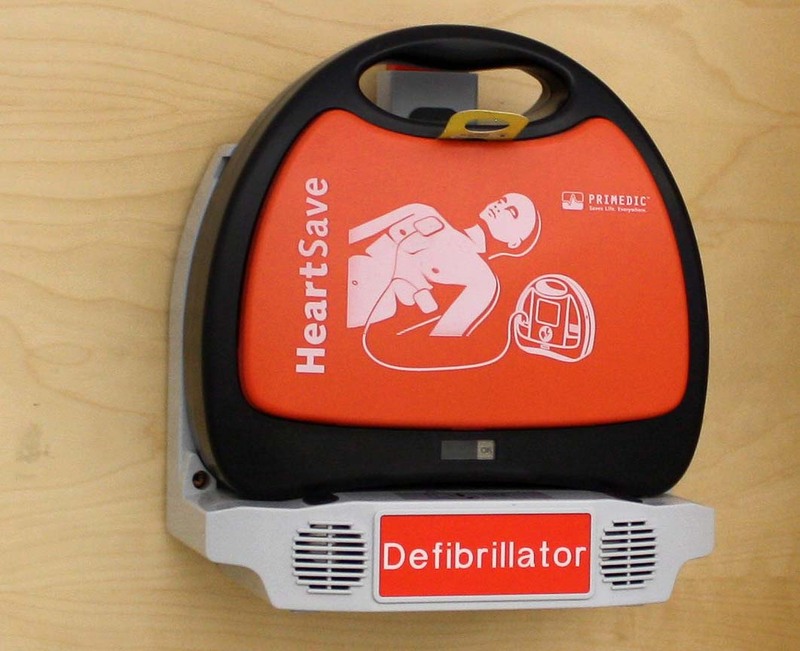 Defibrillator (AED) at the University of Applied Sciences HTW Chur, Switzerland (2012). 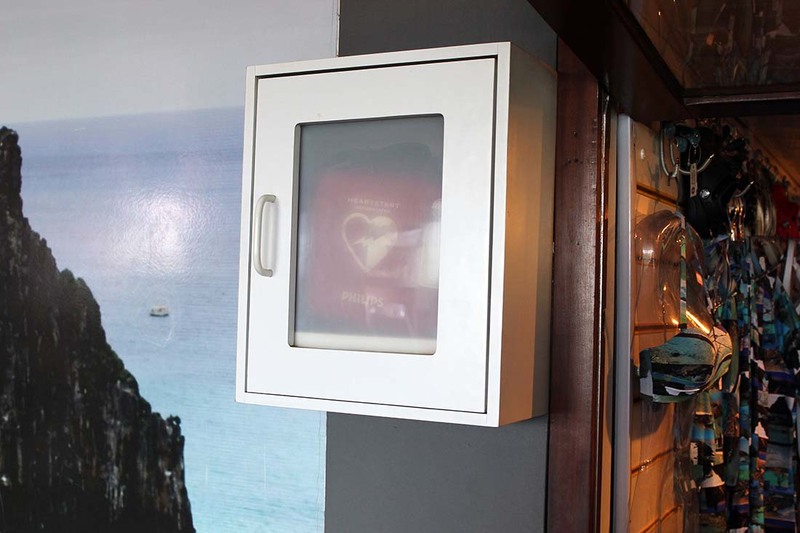 Defibrillator (AED) in Fernando de Noronha airport FEN (Brazil) (2014). 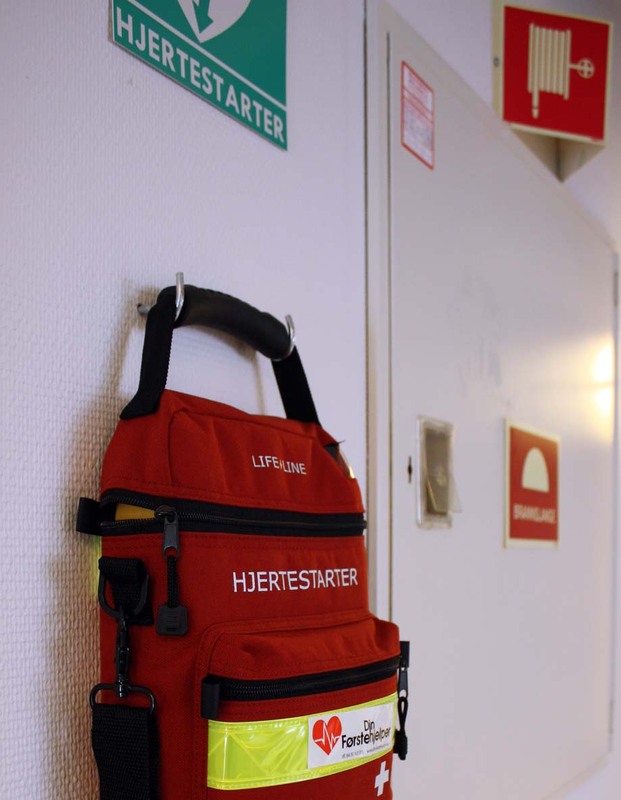 Defibrillator (AED) in an Oslo research institute (2011). 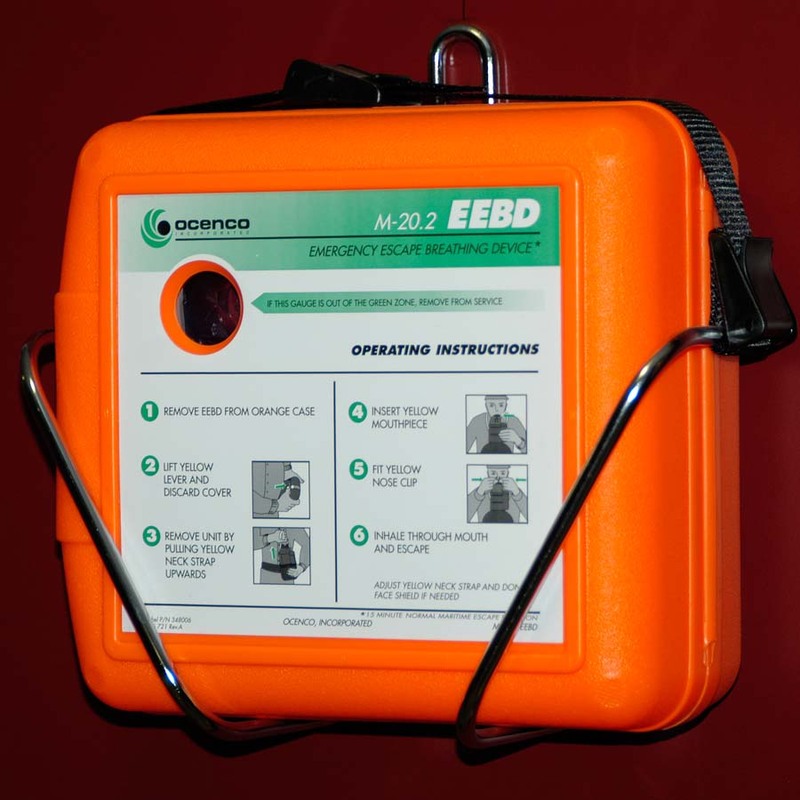 Defibrillator (AED) and ice cream in the Oslo City Museum (2012). 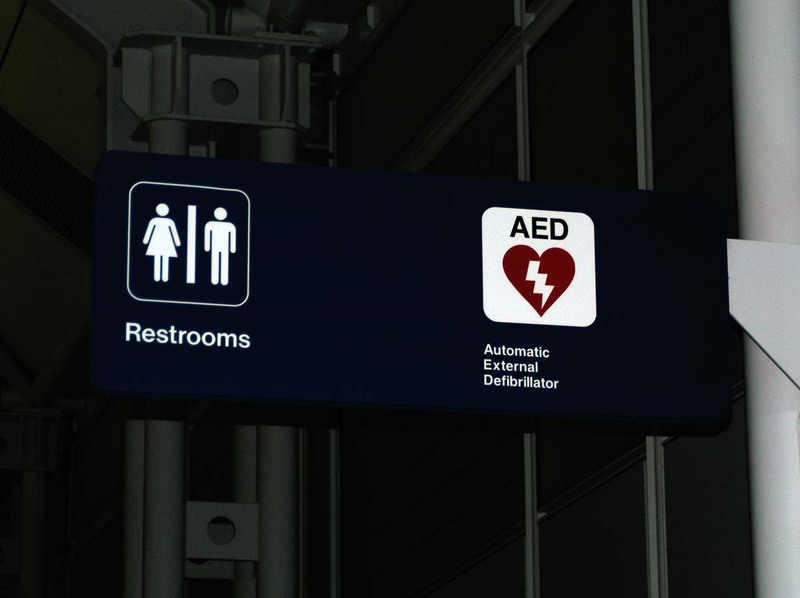 Potty and defibrillator (AED) in Chicago O'Hare Airport (ORD) (2007). 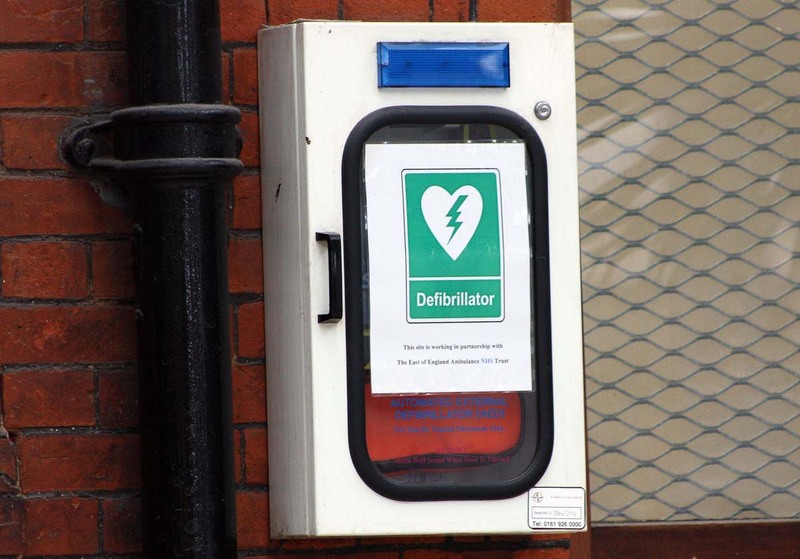 Defibrillator (AED) in Norwich's train station (2010). 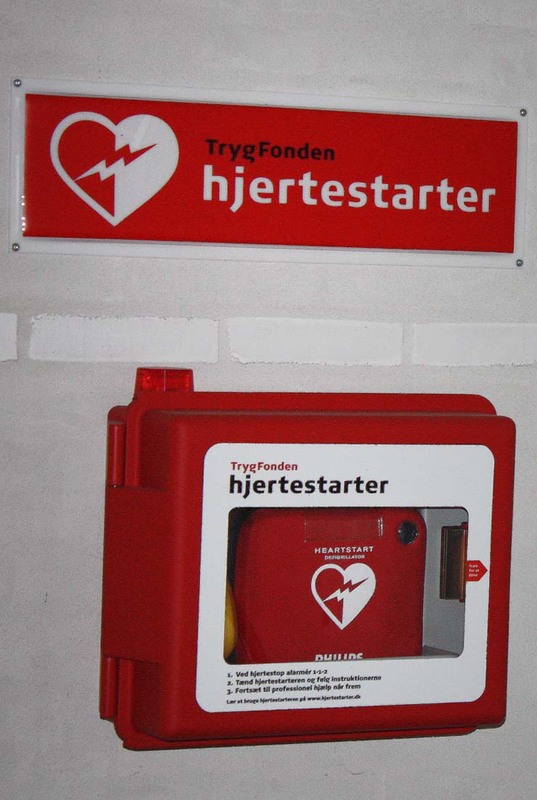 Defibrillator (AED) in the Bornholm Art Museum, Denmark (2009). 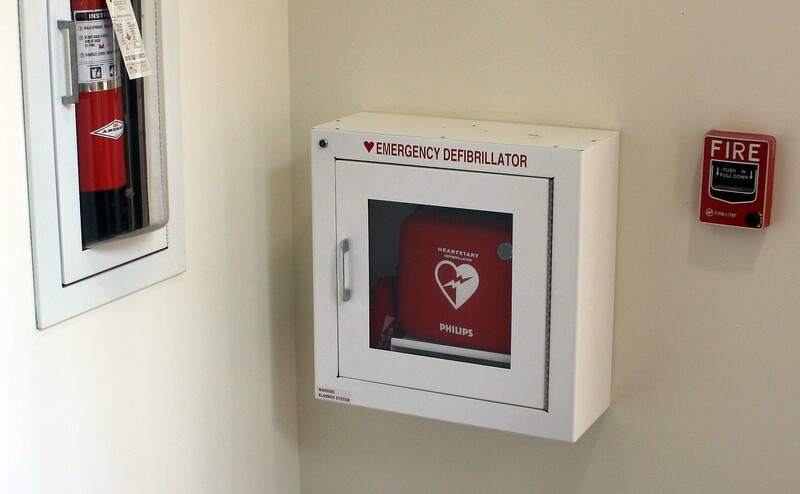 Defibrillator (AED) in Lewis & Clark College, Oregon (2012). 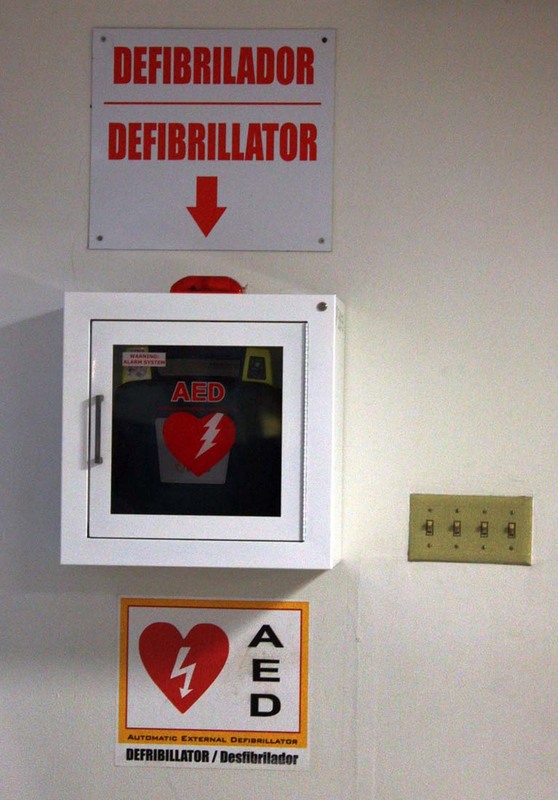 Defibrillator (AED) in San Juan Airport SJU (2012). Which of the four switches turns it on? 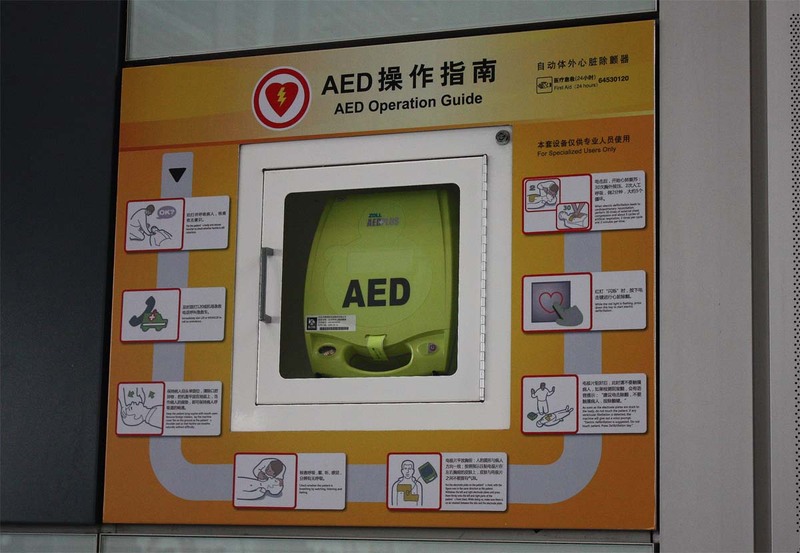 Defibrillator (AED) in Beijing's International Airport PEK (2012). 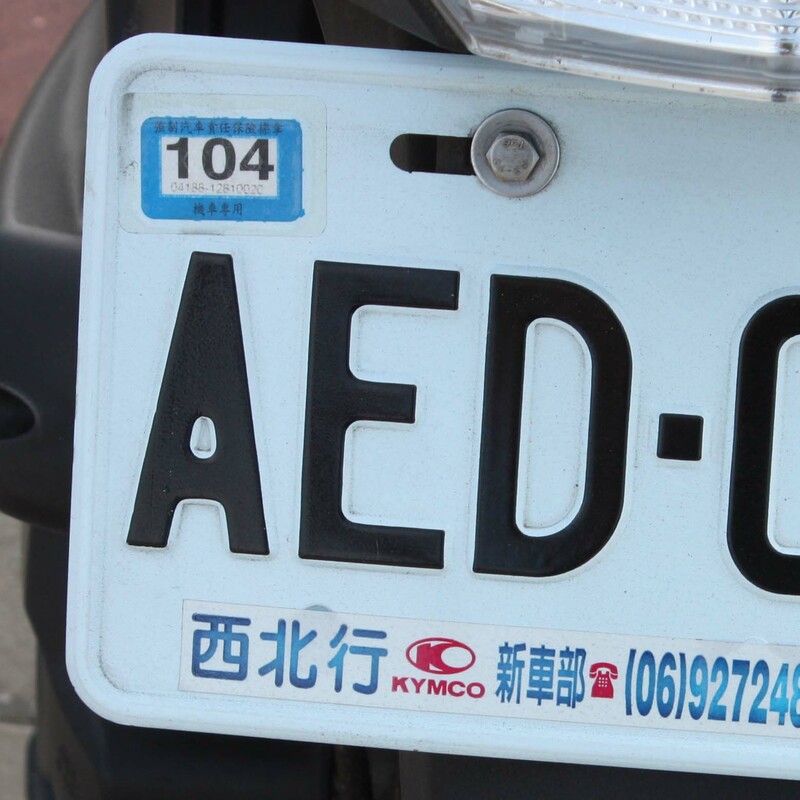 Quick!! 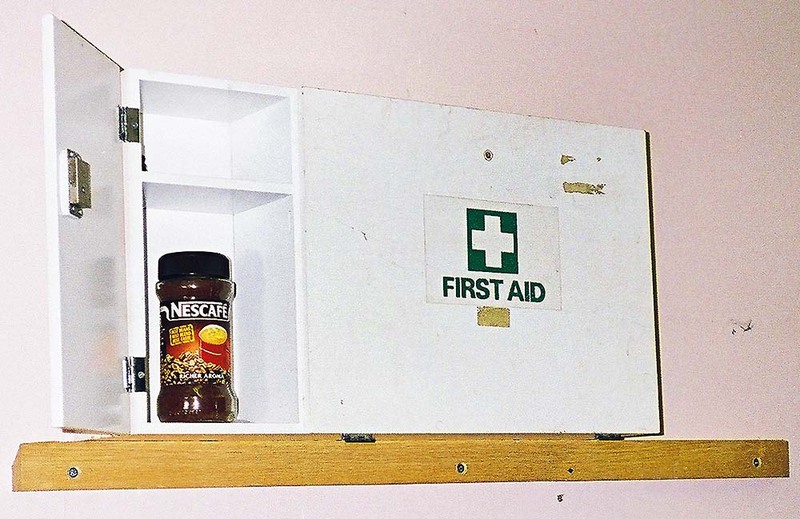 I need the defib pronto...ah priorities, first aid coffee, just a moment please while we brew... (Cambridge, U.K., 2002). Surviving underwater, with or without coffee (on board a Helsinki-Tallinn ferry, 2008). 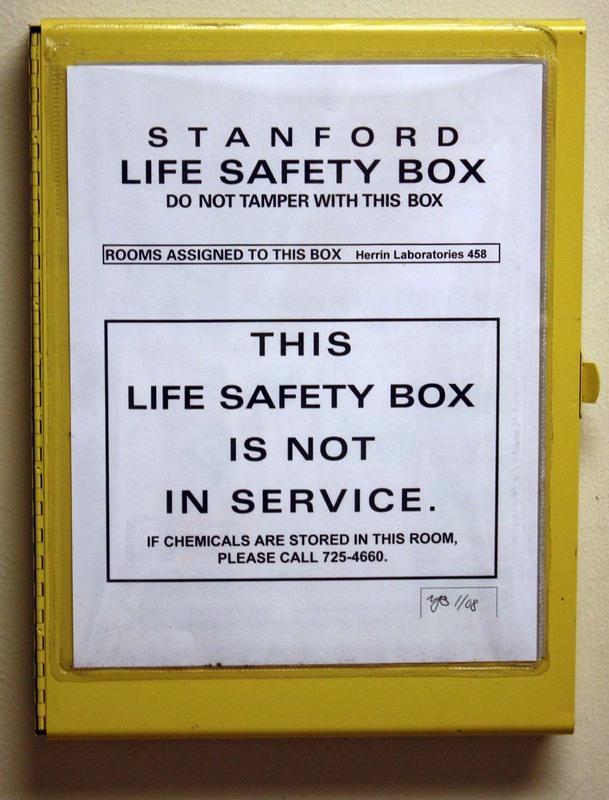 Death Safety Box? Perhaps they ran out of coffee (Stanford University, 2011). 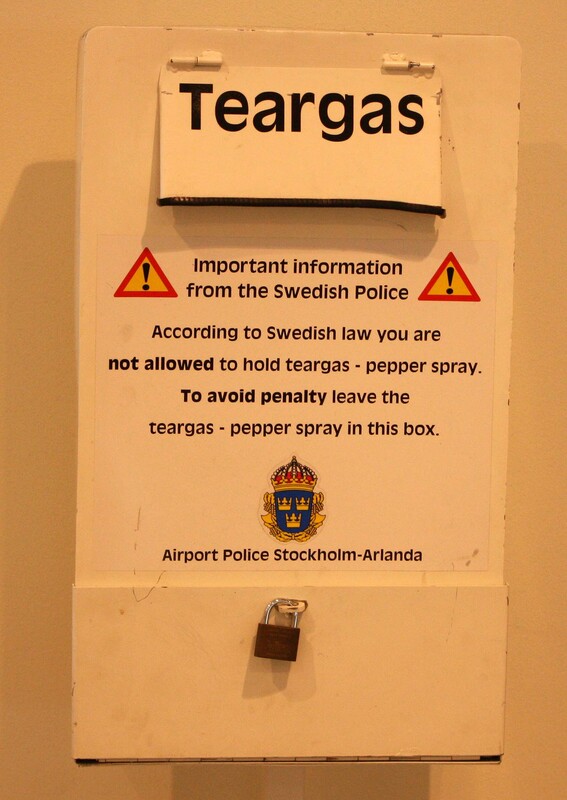 Fair enough, but this box is placed before the luggage carousel at Stockholm Arlanda Airport ARN. 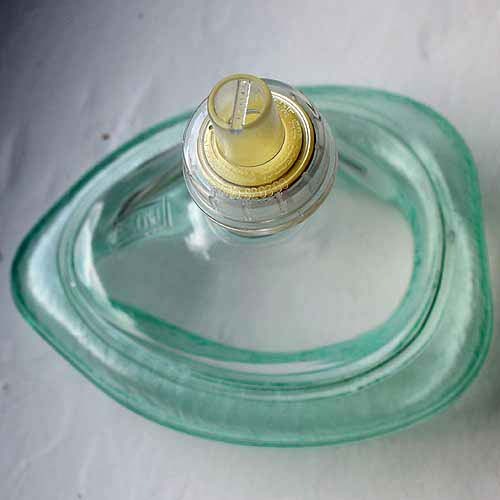 If you were not able to bring the tear gas or pepper spray in your hand luggage, then after claiming your bag(s), you need to trek back to this box to deposit any tear gas or pepper spray from your checked bags. In any case, I was transiting to a domestic flight and, unfortunately, I could not find an equivalent box at LuleÃ¥ Airport LLA (2012). 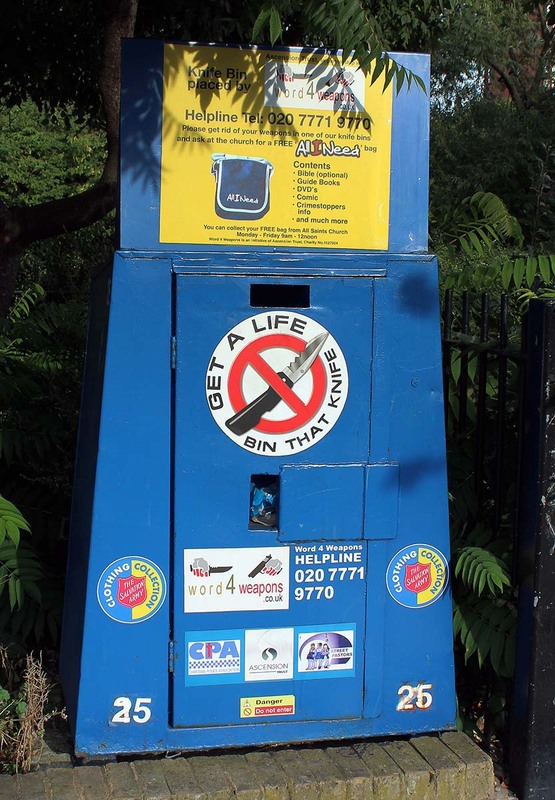 Welcome to the safe part of town (London, U.K., 2014).